It's the end of summer and the last state fairs are showcasing their best. Weekend America goes live with producer Heather McElhatton to the Minnesota State Fair to check out the happenings, including a visit to the National Guard's booth to find out what they're doing to recruit new members. The military has found a new way to target teens -- through videogames. In America's Army: Rise of a Soldier, the player becomes a soldier and rises through the ranks, but in this game, realism is less important than the values of Army life. Youth Radio reporter Trevor Garner takes his turn with the joystick to find out if he's ready to join. With the recent changes in the Supreme Court, the abortion issue and its landmark case, Roe v. Wade, are back in the news. It isn't likely in the near future, but one day Roe v. Wade might be revisited, or completely reversed. There's no legal precedent for such a ruling and the abortion debate would return to the states where old laws still linger on the books. Weekend America host Barbara Bogaev speaks with Cynthia Gorney, author of Articles of Faith: A Frontline History of the Abortion Wars, about the implications of a world without Roe. Portugal is the birthplace of Fado, dramatic ballads crooned in a tradition style. Mariza's big voice is leading many to hail her as the newest diva of this style made famous by Amalia Rodriquez. Tom Pryor of Global Rhythm magazine talks about a track from Mariza's new album called, Transparente. This summer, Girl Scouts across the country went to camp. It's tradition and girls just want to have fun, but sometimes it's tempered by a stronger value system. These days, the Girls Scouts organization is adapting to meet the needs of children from various religious backgrounds, as some girls are bringing the centuries-old traditions of their faith to the troop. Producer Bianca Vazquez Toness of Minnesota Public Radio joins a group of Muslim girls on their first camping trip. Want to know what's on the public's mind? Ask them for a suggestion. That's what Otis Kriegel and Michael McDevitt did for the past three years in New York City and the results are in a new book called Suggestion. Weekend America host Bill Radke catches up with them and their box in Venice, California to find out what people on the West Coast are saying. Sitting in for John Moe is Hank Rosenfeld taking a look at weather patterns and Saturday happenings all across the country. There are thousands of ways to express who you are and mixing a CD of your favorite music is the latest thing. Around the country, CD clubs are exchanging mixes, discovering new music and getting to know each other in a unique way. Every month, twelve members of the Bobcats await the latest delivery. Producer Gideon D'Arcangelo explores the world the CD clubs with members from New York City. » Track listings of past CD compilations and instructions on how to join. Identity is a mix of genetics and culture, and most of us think we know who we are -- but do we really? With the advent of the latest technology, some people are testing their DNA to get at that most personal of truths -- their ancestry. The journey can be as frustrating and rewarding as the result. Weekend America host Bill Radke talks to Christopher Rabb of Philadelphia and Sonya Loya of Ruidoso, New Mexico about how DNA testing and genealogical research shapes our identity. 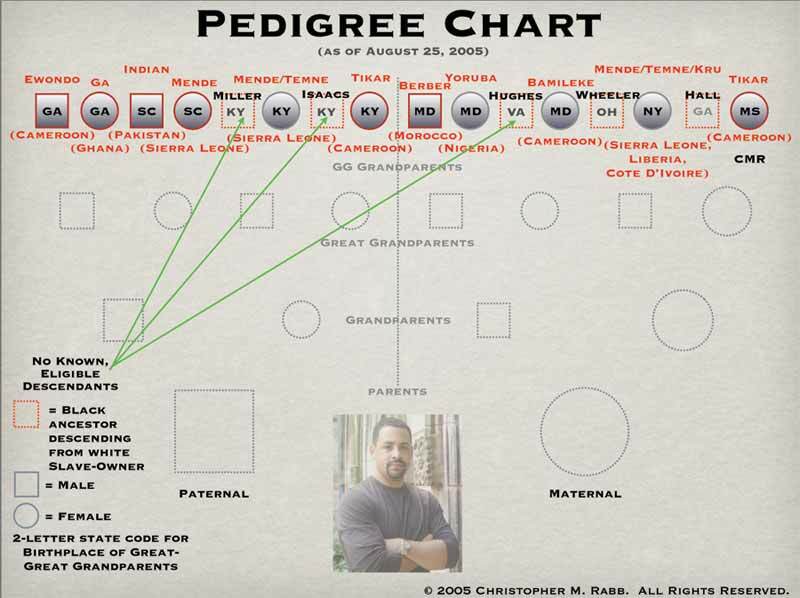 » Christopher Rabb's genealogy chart based on DNA testing, family records and document research. Webster McBride set out to connect with his country and managed to spend time in every state in a mere 50 days. He took his guitar and played songs on the steps of state capitols for anyone who would listen. Producer Rachel McCarthy has the story of his unique road trip. The family that races together stays together. At least, that's what the Ross family believes. Dave Ross was weaned on the sport and is a racecar driver at age 16. His family is on his crew. Reporter Aimee Machado talked to them at their home away from home, the Irwindale Speedway. Doctors aren't perfect and neither is the work they do. Medical errors take their toll on everyone involved, and thousands die every year as a result. The medical industry is looking into the problem, but how are patients who survive getting on with their lives? Weekend America host Bill Radke talks with Julie Smith about how a routine surgery turned into a battle with deadly bacteria. Then, he talks with two doctors, a veteran and a rookie, about Julie's story and what to do when you make a mistake. There's a new album from Brazilian superstar Seu Jorge. It combines original music, like breezy sambas with covers of songs made famous by Elvis and Serge Gainsbourg. Music critic Tom Pryor of Global Rhythm magazine checks out his new album, CRU.